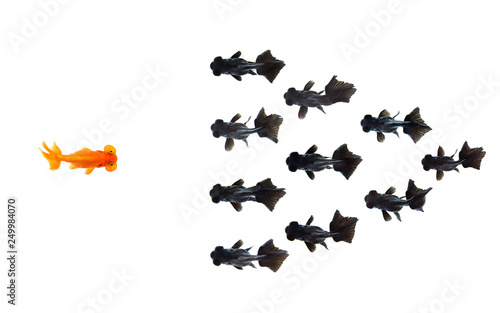 One goldfish confront group of small black goldfish isolated on white background represents courage or the idea of inspiring business ideas. Business concept. Animal. Pet.